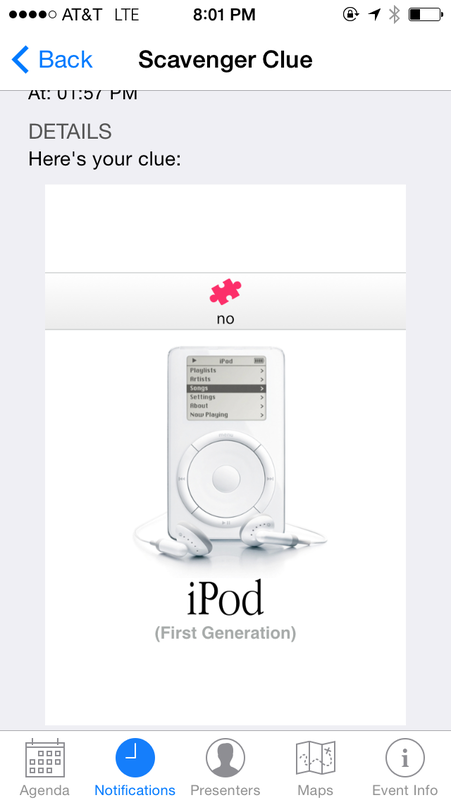 This is a short demonstration of iBeacon technology released with iOS7. In this scenario, the user walks through the Denver Art Museum. It is easy to envision in this basic example, how iBeacon capabilities will change how we will learn. The use of iBeacon tech can easily be translated to schools. I chose to post this video because I am all about emergent technologies and the FUTURE of ed tech. This video highlights the potential for integration between Google Glass and iBeacon tech — 2 of my favorite things. Consumer is reading a magazine and scans a QR code making a request for customer service the next time he is in a store. Later on, iBeacon tech alerts a sales clerk that the consumer is in the store. Consumers facebook profile is connected to the Google Glass worn by the sales clerk. I chose to share this video because I believe that it provides an excellent overview of what iBeacon technology is all about. An excellent introduction for the novice or beginner who is wondering just exactly what iBeacon tech is. 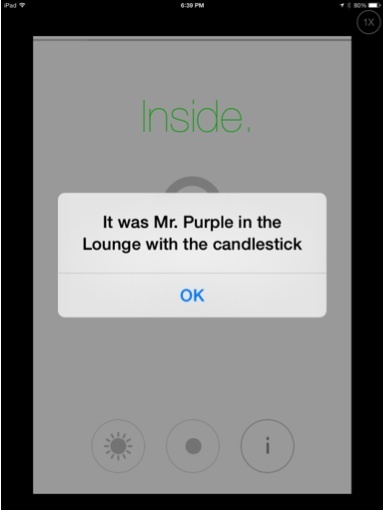 Description of an iOS App which uses iBeacon technology to recognize where in an exhibit a visitor is standing. The app uses iBeacon tech to ask if you would like to visit various stations based upon your Geo-location. 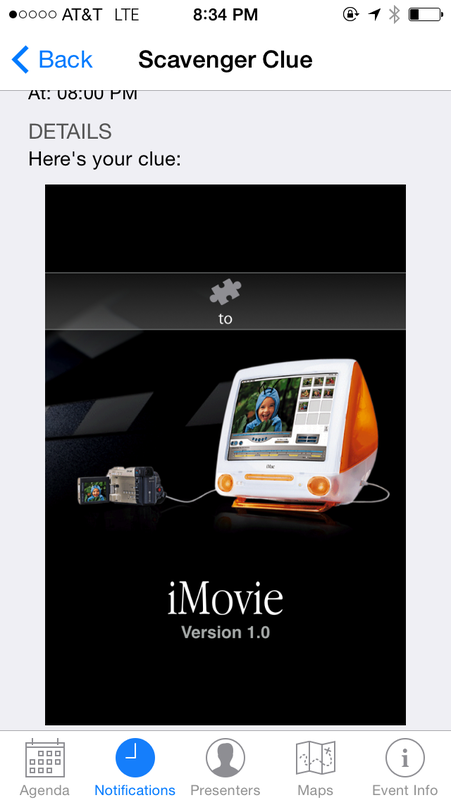 This app was developed by a fellow ADE Jay Anderson. It uses iBeacon technology to sense how close you are to different pieces of art related to the 14 Stations of the Cross in a church in Lancaster, Pennsylvania. The app has three different settings: meditation for children, meditation for adults, and the comments of the artists. Great use of the iBeacon technology. A new app called BeHere aimed at teachers uses Apple’s new Bluetooth LE iBeacon technology to recognize students and automatically take attendance as they enter a classroom. 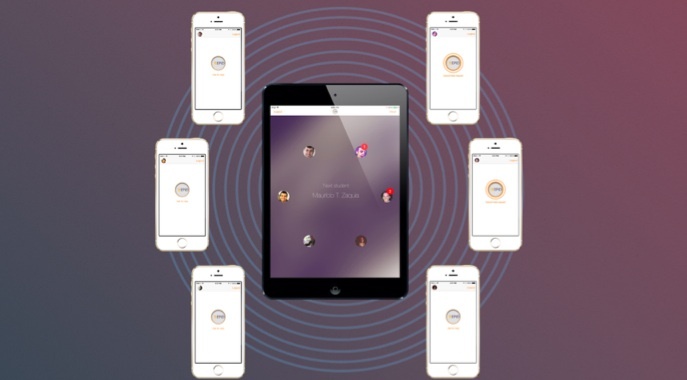 With the BeHere app installed, the teacher’s iPad acts as an iBeacon and students entering the classroom with an iPhone, iPad, or iPod touch will automatically appear in the app with a profile picture and name. Students will have to install the app on their device too, but thanks to recent iBeacon improvements in iOS 7.1, they won’t have to even open the app or take the device out of their pocket to be recognized as they walk in. For those of you who entering into your edtech phase wunderlust with iBeacon technology I wanted to share a website called Passkit. If you have X Code and are an Apple APP Developer you can configure your iPhone to be an iBeacon transmitter in less than five minutes. Happy tinkering. Advancements in iBeacon Technology from Paul Hamilton + My iBeacon Project. I had a busy week and was not able to give my growing interest in iBeacon technology the time in attention it deserved. However, I can always live vicariously through the work of Paul Hamilton. Paul was the first educator in the world to use iBeacon technology in the learning environment. He inspired me to want to use iBeaon technology in my own learning environment. One of my ADE buddies Brian Foutty is designing an iBeacon app for my students to use in our high school. This week we had great fun picking out a name for the app and now I am learning how to use iDraw to create the app graphics. In my effort to push the boundaries of the relationship between technology and education… I am constantly on the lookout for new and interesting entities that will make my 21st century classroom a place of constant and relevant engagement. I am now in a state of cognitive dissonance. (yes, that is a reference to my man Vygotsky) I have creative visions of how I want to implement this technology in the learning environment. However, I realized tonight that I have quite a steep learning curve with the back end architecture and implementation of these devices. That is exciting and I welcome the challenge. I am grateful to have people all over the world — developers and ADE’s who can support me in this endevour. I look forward to documenting my learning curve with this new context based technology here on this blog. I just finished a great chat with fellow ADE Jonathan Nadler. He turned me on to an app called Beecon that works quite well with my new iBeacons so I had to share it. 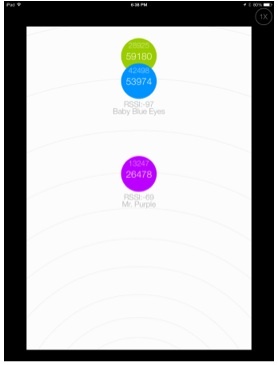 My Beacons now have names and the app helped me program my iPad to get special notifications when I get close to Mr. Green, Mr. Purple, or Baby Blue. Next stop my school. Tomorrow I will have one of my students get up a school zone in my classroom. I promise to document to progress with this exciting technology. This video by Paul Hamilton features a neat new technology called beacons. Beacons are a low cost piece of hardware that can be attached to classroom wall or student desk. 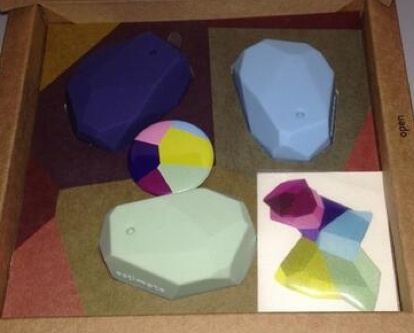 I was so excited watching how Paul set up his classroom with various learning zones that I immediately purchased a set of Estimote iBeacons that will be delivered to me within the next month. I loved the creativity of how Paul used it to create hot/cold features through the iPad app as students got closer to learning zones in his classroom. I want to set them up outside my school building since the weather is getting nicer. Oh, I should forewarn the view — this is the kind creativity technology that is so exciting that when you see it you just might wet your pants — I almost did!! Paul – thank-you for your stroke of genius. When you attend an amazing event such as the 20th Anniversary of the ADE Program it is hard to reflect about what the best take-away from the event was. In the case of San Diego it was particularly difficult, there were so many positive things: the scenery, the field trips, the deep and meaningful conversations that allow us to improve our global practice as educators. However, as I sit down to write my first reflection three weeks after the institute I realize that for me the event was all about the iBeacons. As a classroom teacher I am constantly searching for tools that I know will be engaging for my students but at that same time will improve my student achievement data. In the classroom the iBeacon technology certainly has the potential to delight, to inform, and to lead to innovation. As an aspiring administrator, I like tools that can be used on the school wide level. I see iBeacons as something that have tremendous potential to be used with parents on a back to school night to increase their engagement in the learning space. The most valuable workshop for me at the institute was the iBeacon workshop. In this workshop we were introduced to the app Beacondo. Well, I realized in this workshop that I had been pronouncing Beacondo with an extra syllable. It is pronounced bee-CONDO. After I had that epic revelation, I learned that I could create an iBeacon app by dropping and dragging interface and not have to do a lick of coding. Don’t get me wrong I believe that coding is the new literacy but that is another conversation. We as educators don’t always have endless amounts of time to code our own apps so Beacondo was an excellent tool that the institute allowed us to become more informed about. I have a couple iBeacon projects that I am currently working on. As soon as the apps are ready to be beta-tested I will share the results of my iBeacon adventures on this blog.